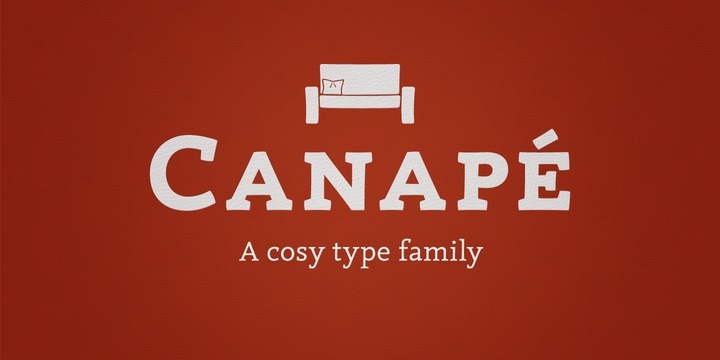 Canapé is a typeface created by Sebastian Nagel and published by FDI. This family font has more than 4200 characters, 10 different figure sets, automated fractions, ordinals, language support etc. It is recommanded for magazine, headline, logo, poster etc. Enjoy! A font description published on Tuesday, May 14th, 2013 in FDI, Fonts by Alexandra that has 3,754 views.